Featured on: Fast Company, Macworld, The Verge, Hypebeast, Gizmodo, Apartment Therapy, CoolHunting, & many more. "The reason to use Solar is its interface and intuitive control, both of which beat out any comparable iPhone app." 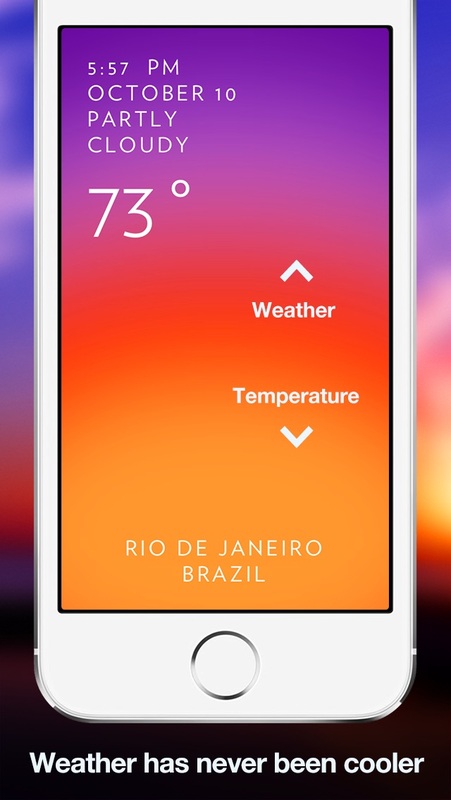 "Solar for iPhone showed up and changed everything we thought we knew about weather apps." "The perfect digital addition to any city dweller's cadre of innovative, simplified applications." 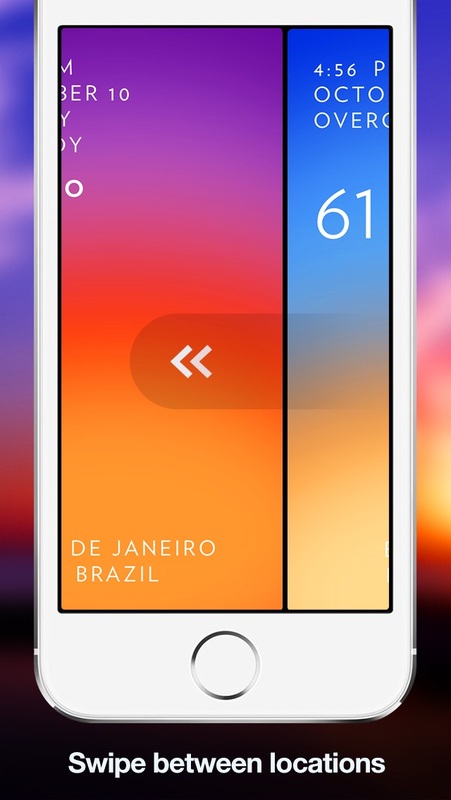 "Solar gives you the weather in a wonderfully designed, intuitive app." "Impressive for not only its sleek user interface, but also its snappy response time and streamlined functionality." "The coolest weather app under the sun." 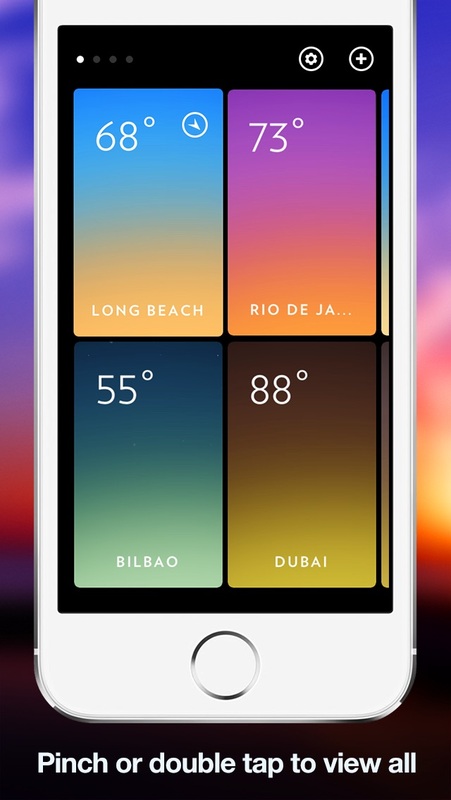 Solar is an exquisitely designed weather app. No vector polygons, no dew point calibration and it won't remind you to wear a jacket. 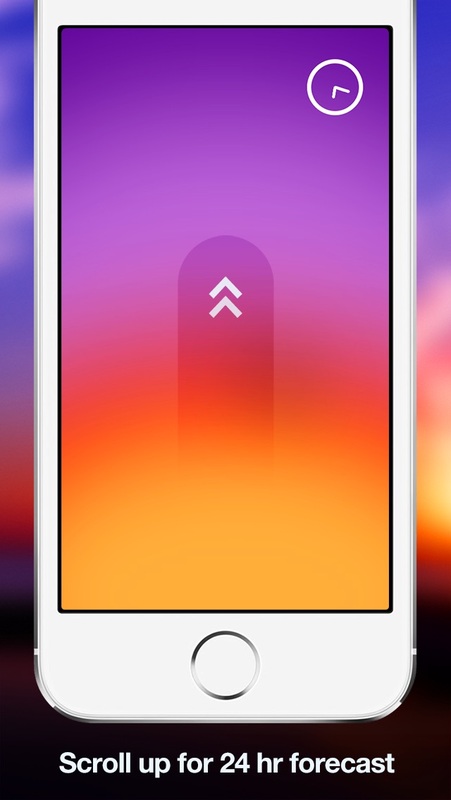 Just radiant, colorscapes to accurately help you size up your day. A modern tech-cessory for the aesthetically-inspired, new-fashioned adventurer.